Long before he took ownership of Aarrow Transmission and Automotive, Roy Bordner had a knack for fixing cars. While growing up nearby in Sandston, Roy began helping out at the repair shop owned by his father and his great uncle. And by the time he was a teenager, Roy had already learned how to rebuild transmissions. 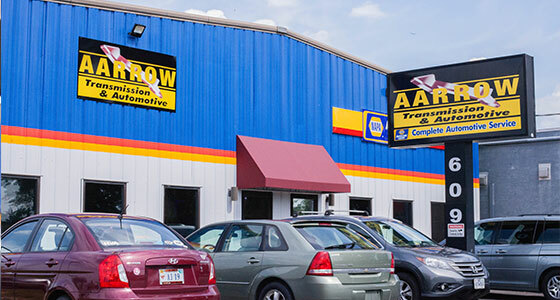 After several years as a successful transmission rebuilder and auto technician, Roy took over as manager of the Aarrow location on Research Road in south Richmond. Then, in 2002, Roy became co-owner of the Aarrow location on Pouncey Tract Road in the West End. In 2017, Roy became sole owner of both Aarrow locations. Roy married his wife, Laurie, in 1988, and they have a son who is active-duty military. Roy and Laurie live in Glen Allen with their Labrador Retriever, Toby. When he isn’t at one of his repair shops, Roy enjoys fishing, golf, hockey, and spending time at the beach and river with his family and friends. Roy and Laurie are committed to giving back to the community. Some of the local organizations they support are FeedMore of Central Virginia, YMCA of Greater Richmond, Hockey Fights Hunger, Cystic Fibrosis Foundation, USO of Hampton Roads and Central Virginia, Lab Rescue of Greater Richmond, and the Richmond SPCA. 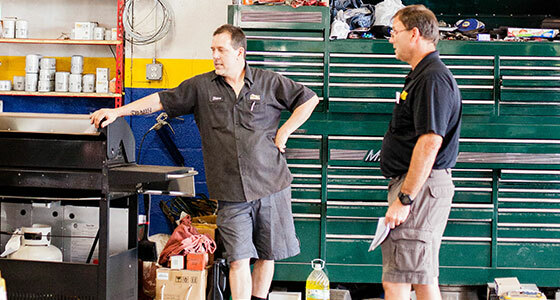 Because unlike other auto repair shops and dealership service departments we get to know you and your car. We know how your car runs and create a relationship with you that you can trust. We want to make sure your car is running as smooth as possible by making sure you have the best working on it. That is why we only hire certified mechanics to work on your vehicle. Not only are they certified they can work on any make and model. You can't say that about most repair shops and definitely not about dealerships. So choose us to be your go-to auto repair shop for all your automotive needs.